Just walking around and having a very fresh day, then someone asks you “when you'get married” even though they already knew that you are still in Single status or just came from unhappy relationship? 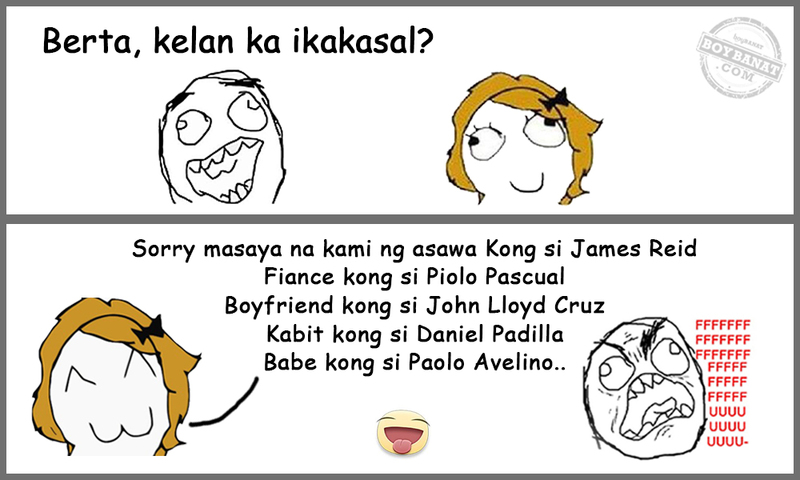 Well don't be piss off guys because we have this list of Tagalog Comebacks to “When You'll get Married? Question which made just that for this kind of situation and irritating question. Babe kong si Paolo Avelino ..
Si PNoy nga di pa nag-aasawa... Ako pa kaya? Umalis ka nga dyan, Sapukin kita gusto Mo? Hindi pa po kasi ako nakikita ng destiny ko! Kayo po mauna kasi Age before Beauty! Nagmamadali po ba kayo Kasi di nyo na abutan? Ang alam ko po, Wala po kayong pake, kaya tantanan nyo ako! 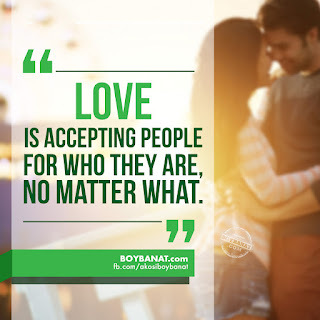 If you have you own tagalog banat lines, feel free to share it with us and we will be delighted to have them featured here at www.boybanat.com. Let us inspire more readers. For more reads and updates, you can also visit and Like our Facebook Page (www.fb.com/akosiboybanat).